‘Tis the season to be stumped! Coming up with ideas for the perfect gifts to surprise that special person each year can be an unnerving task. And, if you have a real estate investor in your life, the gift-finding pursuit can be quite a challenge. Luckily, your serendipitous muses at The Robert Weiler Company are here to offer some awesome, functional, and fun gift ideas for your favorite real estate investor – whether they’re into homes, buildings or anything in between! 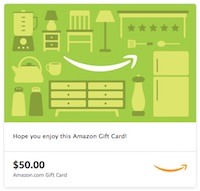 While gift cards tend to carry a reputation for being “quick” gifts, to a real estate investor, they are a home run. If your colleague, family member, or friend is purchasing and flipping a property, they’re probably dropping more money on home improvements than most people spend on Black Friday. You can find almost anything on Amazon from cabinets, tiles, and wallpaper to power tools, smoke detectors, and so much more. You’ll appear in-the-know if you suggest using that gift card on the Amazon’s Home & Business Services section of the site; this department is a one-stop shop for sourcing contractors whether it’s for assembly, cleaning, home improvement, yard and outdoor work, or even smart home services. This season, consider skipping over the latest Gone Girl-inspired thriller for a read that your recipient will find both interesting and helpful. 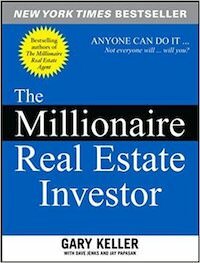 Holding a 4.4 out of a 5-star rating on Amazon, The Millionaire Real Estate Investor is a practical gift that is also practical on your wallet. Touted by fans as a steal rather than a bargain, this book offers essential advice for real estate investors at any stage of the game. It also includes firsthand experiences from successful REIs in a style that is easy for readers to digest and apply. The Kevo is a simple convenience at your fingertips disguised as a typical door lock. Bluetooth capability connects the smart lock to the user’s phone and offers a “Touch-to-Open” feature, eliminating the need for an actual key. Not to worry, though. A key can be used in the event of a dead battery or a misplaced phone. 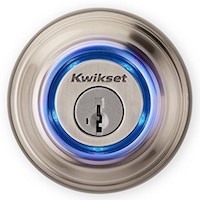 Kwikset’s innovative “eKeys” are perfect for the real estate investor who may have contractors and other providers needing to access a property for home improvements. When needed, the investor can send the provider an “eKey” through the app to provide simple and secure access to the home. No more searching for keys or waiting around! Is your sister-in-law considered a real estate mogul in your community? Does your friend, Larry, invest in large office buildings in town? Give them a present that is not only useful but may even impact their bottom line. In the real estate world, sometimes a task as simple as getting a signature can be a real speed bump. With the Adobe Sign platform, investors can go fully electronic by offering and receiving digital signatures. With a simple swipe and tap, the investor can seamlessly execute transactions without having to pause and wait for a scan or fax. The platform is entirely secure, usable on any device, and the digital signatures are legally binding and enforceable. BiggerPockets is described as the Pinterest of the real estate investment world, without the “pin” format. It’s a complete social network, offering countless tips, interactive tools, and helpful videos. It also contains a members-only marketplace that encourages networking and relationship building among the industry’s top real estate buyers, sellers, and financiers. With core values that begin with “family over everything,” the recipient of this gift is sure to feel both grateful and excited. 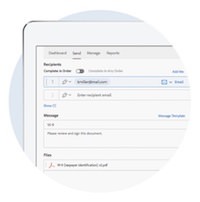 *While there is a free version, the Plus ($19/month) and Pro ($39/month) versions offer vital extras, such as ad posting, file and video uploads, increased messaging capability, and visitor tracking. Drone usage has skyrocketed in both the industrial and personal arenas ever since the need for an FAA pilot’s license was deemed unnecessary (The government is even using drones in property reassessments now!). Fortunately, for commercial real estate investors, this means that obtaining unique aerial footage on a property is no longer a huge financial and time-consuming burden. While the cost can be a significant expense, the DJI Phantom 4 Quadcopter series is a leader in the drone industry. So, get your friends, family, or colleagues together and bring in several people to pool your resources together. Its 28-minute flight time and advanced navigation and imagery features are sure to creatively raise the bar (and ROI) for any real estate investor who utilizes it. No matter the size of the property investment, certain items are necessities. There are also some objects that are “nice to have.” The team at The Robert Weiler Company surveyed our brokers, developers, and appraisers to capture these cool, yet handy gift ideas for any real estate investor. Real estate investors tend to have jam-packed days that often require traveling, whether it’s local or long-distance. To keep things fresh while on the move, a convenience kit filled with daily necessities can prove to be the perfect gift. This prepackaged travel kit from Amazon packs 14 TSA-approved toiletries into a reusable bag. Some items included are shampoo, deodorant, toothpaste, and facial wipes. For a more DIY approach, gift givers can create their own convenience kits, personalizing the items to the recipient’s liking! For example, you can buy a toiletry bag and fill it with facial wipes, antibacterial gel, a nail file, nail clipper, single-use toothbrush/toothpaste pack, flossers, and travel-sized mouthwash. One cufflink holds the 8GB of storage space (while the other cufflink matches for show), making contracts, reports, and other data easily accessible and never forgotten; it also eliminates the need to carry a briefcase! 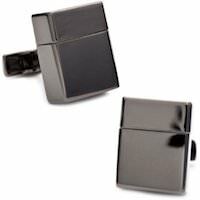 These cufflinks are a win-win in our opinion. While nothing will emotionally beat the inscribed “#1 Dad/Mom” pen that was gifted to the investor from their child’s holiday school store, the time has come to retire that pen to a desk drawer. Cross pens provide an unprecedented style for any polished professional. With three styles to choose from (ballpoint, rollerball, or fountain), you will have no problem finding the right pen (Select “engravable” under the “personalization” sub-menu to view the customizable pens). When striking new deals, make sure your real estate magnate has a professional pen to make a bold statement. Like the drone/camera mentioned above, this gift can come with a hefty price tag. While there are some affordable options like the Fire Tablet (with a starting price of $50), the Apple Watch starts at $249, iPad at $329, and Microsoft Surface at $799. However, for real estate investors who are moving from place-to-place, toting around a book, a newspaper, a bunch of files, and a laptop isn’t nearly as convenient as slipping a one-pound tablet into a purse or briefcase. And, with a smartwatch, users don’t need to be near their phones to read and respond to calls and texts. Whichever device you choose, the recipient of this gift can take calls, snap quick photos, collect signatures, and read the next digital chapter of The Millionaire Real Estate Investor, all while on the go. Hopefully, we, the commercial real estate folks at The Robert Weiler Company, have made your shopping experience a little bit easier this year. With these ten ideas, you are sure to find the perfect gifts for a real estate investor. While it’s a blast to rip apart the wrapping paper and uncover this year’s coolest gift, there are other ways to show your appreciation. Create a handmade card, cook a special dinner, and make time to watch a flick over some wine. After all, you’ll have much more time on your hands now by following our gift guide! If a family member, friend, or colleague has a real estate question or requires a second opinion on a property purchase or sale, we invite you to slip them our phone number. Our gift to you is that the experts at The Robert Weiler Company are here to help; just call one of us at 614-221-4286 – because sometimes knowledge is the greatest gift of all!